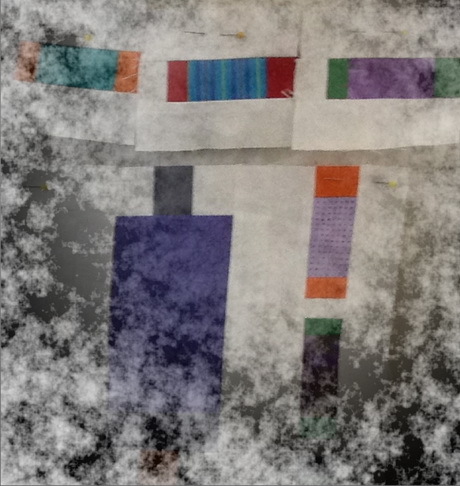 Did you read Judysewforth’s post, last week, about finally finishing her free motion quilting UFO? This got me thinking about the incentives that get me to finish a UFO or WIP* (and I always have several in the cupboard). I decided it is usually the need to have a new quilt to show at a trade event, or a guild presentation….. the events that are my personal goal setters because, these days, almost all the stitching that I do relates in some manner to my work at Always Quilting. However, when I was guest speaker at the Wyndham Vale Patchwork Guild last weekend, I saw a very clever “goal setter” plan that could help other people, without business deadlines, finish their UFOs. The Guild had set their members a UFO challenge at the beginning of the financial year. At the July meeting, members who chose to enter the challenge had to register a list of the UFOs that they wanted to finish. The deadline for the Wyndham Vale challenge was the November meeting and people who produced a finished project at show and tell, from their list, “won” a lucky dip prize. As you can see lots of people achieved their goal of a finished UFO. Lots of quilts were finished. 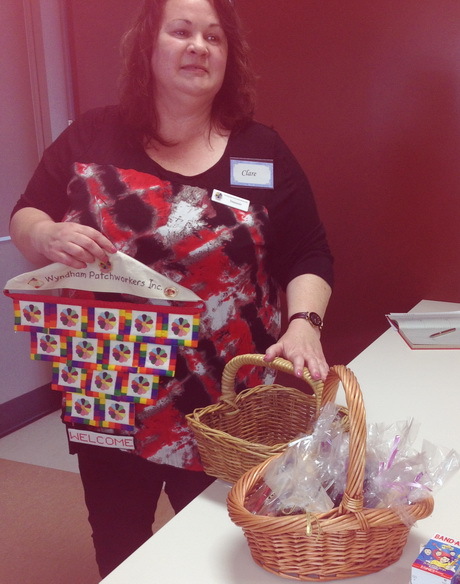 Both baskets were full at the beginning of the show & tell. I’ve been guest speaker at two Guild meetings in Victoria in the past month, last weekend at Wyndham Vale, and back in October at the Point Nepean Patchwork Guild. Not really, the talks are usually 30 -45 minutes, including questions. 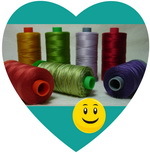 I talk in general about choosing the right thread for a task and why it makes a difference, about choosing the various Aurifil thread weights to achieve particular stitching results, choosing thread colours for different purposes and I always finish with a list of the Aurifil suppliers in the locality where I am speaking. It is a treat to be a guest speaker at a Guild, and a wonderful opportunity to see what people are stitching around the country so contact me if you are interested in finding out about my schedule for 2014. We would love to hear about other goal setter ideas for finishing projects, so please leave a comment to share your incentive. This entry was posted in Aurifil, Events, Tuesday Treats and tagged Aurifil, Tuesday Treats. Bookmark the permalink. ← Free Motion Quilting Project is Finished!